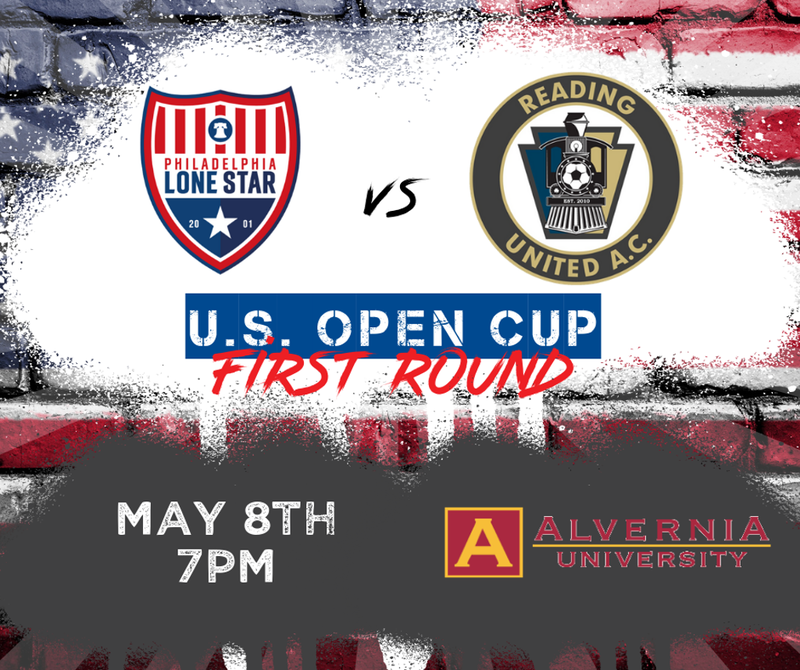 READING, PA (April 10, 2019) – U.S. Soccer dropped the initial pairings for the Lamar Hunt U.S. Open Cup’s first round on Wednesday afternoon, and Reading United’s foe will be a local one. Philadelphia Lone Star will travel to Reading for an opening round appearance on May 8th at 7:00pm. The game will be hosted by Alvernia University for the second consecutive year. ESPN+ will be broadcasting the livestream on their platform, as part of a multi-year deal with U.S. Soccer to showcase every single game of the tournament.